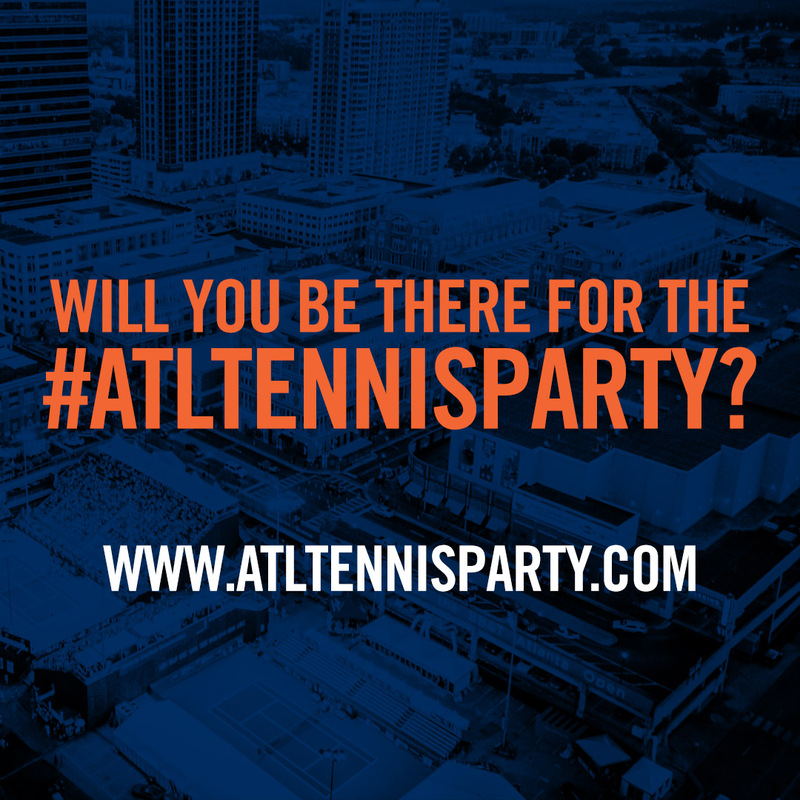 Tournament Launches #AtlTennisParty to Promote the Entertainment Venue of the Summer"
The BB&T Atlanta Open announces the entertainment options of this year's tournament, delivering the "entertainment event of summer" for tennis fans and food and drink aficionados as they convene for the #AtlTennisParty at Atlantic Station from July 21 - 29, 2019. The BB&T Atlanta Open will unveil “The Foodie Experience,” offering upscale food and beverage choices from Concentrix catering in the food court, featuring signature items from each of their Atlanta restaurants. French Cheeses of Europe is new partner this year. Attendees can sample exquisite tastings of decadent cheeses. Beverage vendors include Premiere Beverages, Ketel One, Goose Island Beer Company, Stella Artois and Michelob Ultra, in addition to wine, champagne, tequila, and frozen drink options for the thirsty. The tournament will kick off on Saturday, July 21 with the “Serving It Up” Charity Gala at Twelve Atlantic Station to benefit The Giving Kitchen and the Georgia Tennis Foundation. A kick-off concert with incredible music will follow, featuring the TIMELESS WORLD TOUR 2018 concert by Home Free, the world’s first all-vocal country band and winner of NBC’s “The Sing-Off.” Tickets begin at $29 for reserved seating; $99 tickets are available for premium seats and provide access to a meet and greet before the show. Get a sneak peek. 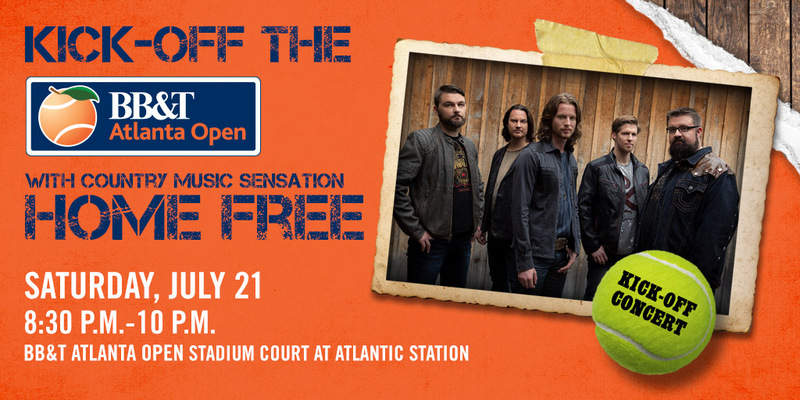 The great music at the BB&T Atlanta Open doesn’t end with Home Free’s concert on July 21. The Bryan Brothers, “the winningest duo in tennis,” will trade their racquets in for instruments to play during the night session on Wednesday, July 25. With Bob on keyboards and Mike on drums and guitar, the Bryan Brothers have held concerts at tournaments and charity events around the world and are always a thrill for tennis and music enthusiasts. Full music stage schedule coming soon! The Family Zone Presented by Wilson will offer kids’ tennis activities all week for free of charge at Atlantic Station’s Central Park. Activities include on site “mini” courts with tips from local tennis professionals, in addition to giveaways. Onsite vendors will offer freebies and fun activities throughout the tournament site. Attendees will enjoy more seating and attendance options. They can choose between day and night sessions, Monday through Thursday, or buy a “Daily Double” ticket and attend both sessions in a day for a 40% discount. Now available is the new Champions Club, which is located inside the venue and overlooks the AJC Grandstand court. Fans can watch in comfort with daily access to air conditioning and a cash bar. For a low daily access upgrade fee of only $20, attendees can enjoy this VIP space, located above the Lexus Lounge with a dedicated entrance overlooking our AJC Grandstand Court. The AJC Grandstand court now offers shaded seating, compliments of Northside Hospital. The CIGNA Stadium Club has been enhanced with a new outside viewing area. The Mini US Open. 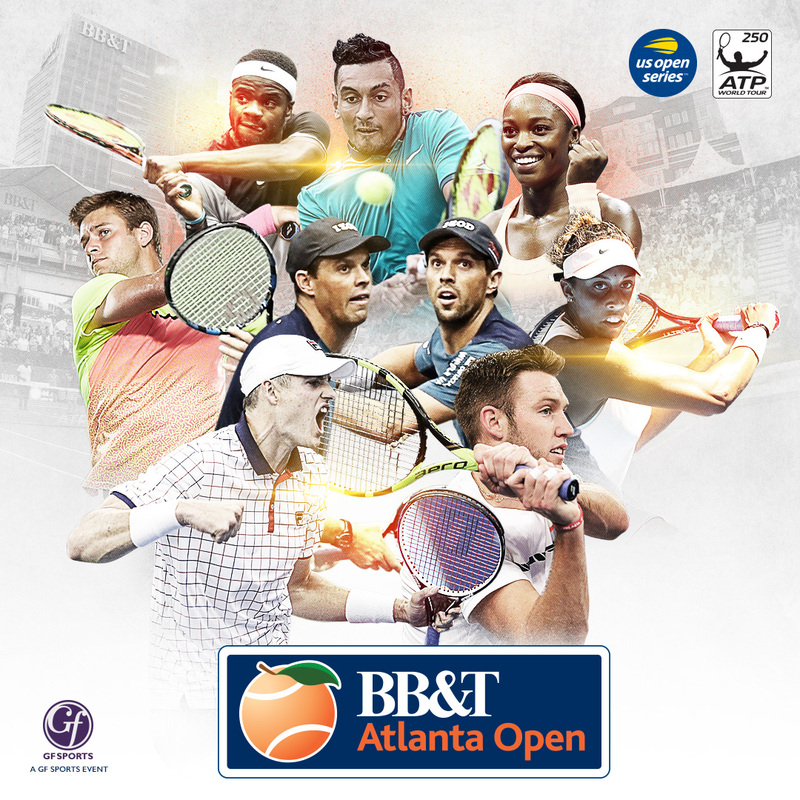 The BB&T Atlanta Open, an ATP World Tour 250 event and professional men’s tennis tournament, is held each year in July at Atlantic Station and kicks off the US Open Series. The tournament, featuring singles and doubles competition, is one of seven hard court summer US Open Series tournaments, which ends with the last Grand Slam of the year, the US Open. The stadium’s intimate seating offers local tennis fans the opportunity to enjoy live tennis in an up close & personal setting. Fans watch top-ranked American and international players almost on the court, with the “worst” seat only 14 rows from the court! Highly Anticipated Entertainment Event. The BB&T Atlanta Open has welcomed more than 310,000 fans to Atlantic Station over the past eight years, establishing itself as one of the top ATP World Tour tennis events in the US. This tournament is the only ATP World Tour event in Georgia and one of only ten ATP tournaments in the US. Economic Sway. Thanks to approximately 40,000 fans in attendance each year, the BB&T Atlanta Open delivers an estimated economic impact of $10.3 million to the city of Atlanta. The event occurs at Atlantic Station, which attracts more than nine million visitors annually and offers attendees 30 stores and 15 dining choices. Notable Champions. John Isner won the 2017, 2015, 2014 and 2013 singles titles – a tournament record. Other notable champions include Americans Andy Roddick and Mardy Fish, along with Australian Nick Kyrgios. Committed players to date include John Isner, Jack Sock, Ryan Harrison, and the Bryan Brothers. See the player list. 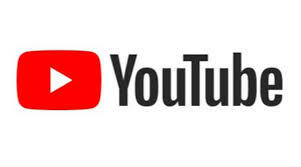 This year’s tournament will feature five current and past US Open champions: Sloane Stephens (2017 women’s singles champion), Jack Sock (2011 mixed doubles champion), the Bryan Brothers (2005, 2008, 2010, 2012, 2014 men’s doubles champions 2003, 2004, 2006, 2010 mixed doubles champion – Bob and 2002 mixed doubles champion - Mike), and Taylor Fritz (2015 boys singles champion). Atlanta: The Tennis Capitol of the US. Atlanta is known as “the tennis capitol of the United States” and perhaps even the world, with 340k league tennis players in the metropolitan area. Top-ranked players love it here because of the crowd’s knowledge and enthusiasm.